Fanny Parkes, who lived in India between 1822 and 1846, was the ideal travel writer - courageous, indefatigably curious and determinedly independent. Her delightful journal traces her journey from prim memsahib, married to a minor civil servant of the Raj, to eccentric, sitar-playing Indophile, fluent in Urdu, critical of British rule and passionate in her appreciation of Indian culture. Fanny is fascinated by everything, from the trial of the thugs and the efficacy of opium on headaches to the adorning of a Hindu bride. 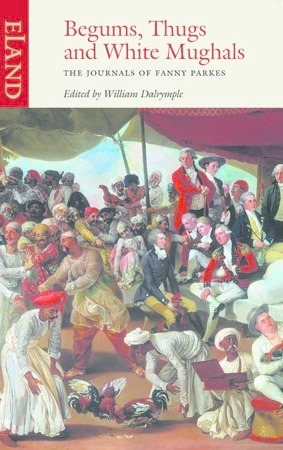 To read her is to get as close as one can to a true picture of early colonial India - the sacred and the profane, the violent and the beautiful, the straight-laced sahibs and the more eccentric ‘White Mughals’ who fell in love with India and did their best, like Fanny, to build bridges across cultures.